These pumpkin scones might be an indication of how I’m feeling. I am so ready for fall. I don’t know if I’ve mentioned it, but I am feeling it. Oh boy, am I feeling it. Not only has school not started here and both my kids and I are SO ready, but the weather is acting like it’s still the middle of summer. After getting a nice break with some cooler weather, today was back to just an absolutely horribly hot day where I just want to not do anything at all. On a brighter note, I’m looking forward to fall this year because I will finally be back in a place with lots of trees and I can’t wait for all the colors! And all the pumpkin! I love all things pumpkin. So here is the first recipe of the season for you. 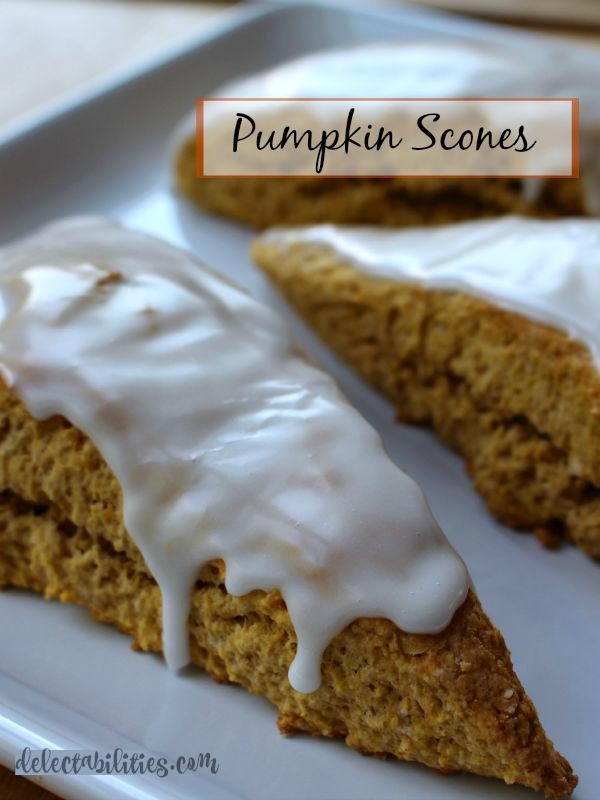 Pumpkin Scones. With a simple glaze on top. They’re pretty much self-explanatory. But I will tell you this: my 2 pumpkin haters each gobbled these up. My oldest who usually says yuck to all things pumpkin, ate 2 of these pumpkin scones and then couldn’t stop telling me how ‘delectable’ they are! She might be a little bit dramatic, but she also knows a good thing when she has it. Preheat oven to 425 degrees. Line baking sheet with parchment or silicone liner. In large bowl, combine flour, sugar, baking powder, salt and spices. Cut cold butter into small pieces and use a fork, pastry knife or your hands to combine with the flour mixture until it is crumbly. In small bowl, mix together pumpkin, cream and egg. Add to the flour and butter mixture and stir just until combined. Pour dough out onto a lightly floured surface and shape into elongated rectangle. Cut into 3 equal portions, then each of those into 2 triangles to form the scones. Transfer each of the scones onto the prepared baking sheet. Bake in preheated oven for 14-16 minutes, until scones are light brown. Place on a wire rack to cool and then cover with glaze. For the glaze whisk together the powdered sugar and milk until spreading consistency. 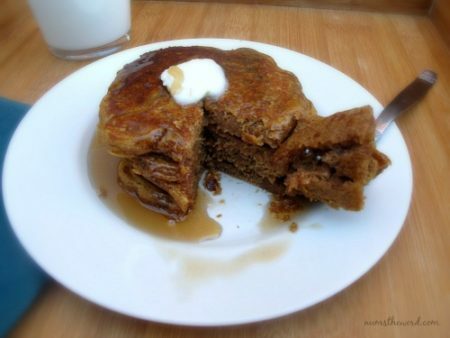 These are my all-time favorite pancakes! Fluffy buttermilk pancakes flavored perfectly with pumpkin and fall flavors, but I could eat them all year long! 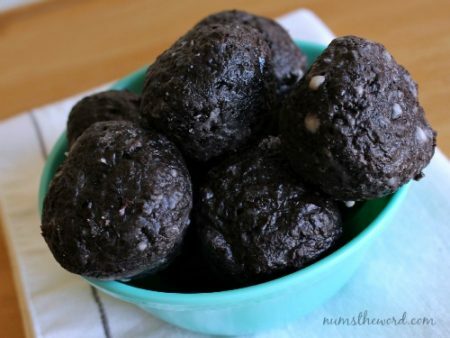 Looking for moist and delicious baked donut holes? These are a family favorite and include a trick to keeping them moist! Non greasy and oh so tasty! 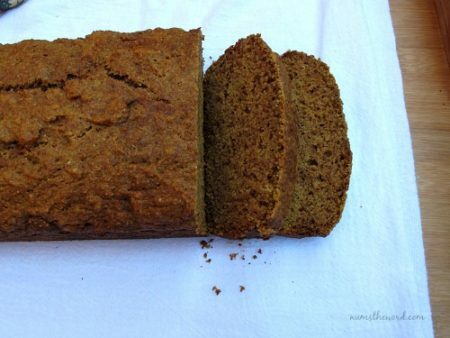 This pumpkin bread is so moist and delicious, no one will believe that it has no sugar, no butter and only whole wheat flour! Healthy enough for breakfast, but yummy enough for a special treat! Sammie, Thank you for your comment! I actually make my own pumpkin pie spice mix that is made from spices I bet you can find. I posted it here last year – good luck!